For anyone that likes the Bondi to Coogee coastal walk check out the Manly to Spit Bridge scenic walk. It's about 9km and you can visit up to 16 beaches along the way. 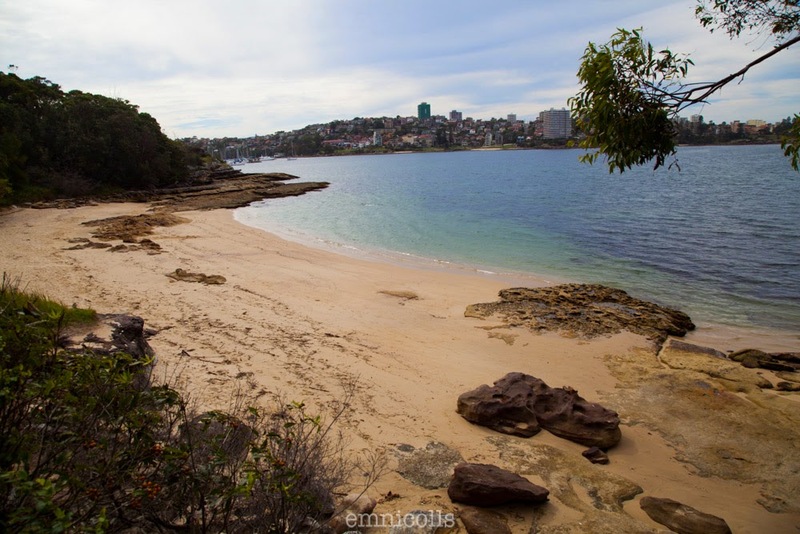 It is more challenging than the Bondi coastal walk and has a more diverse path (paved, dirt, rock, sand, boardwalk etc.) 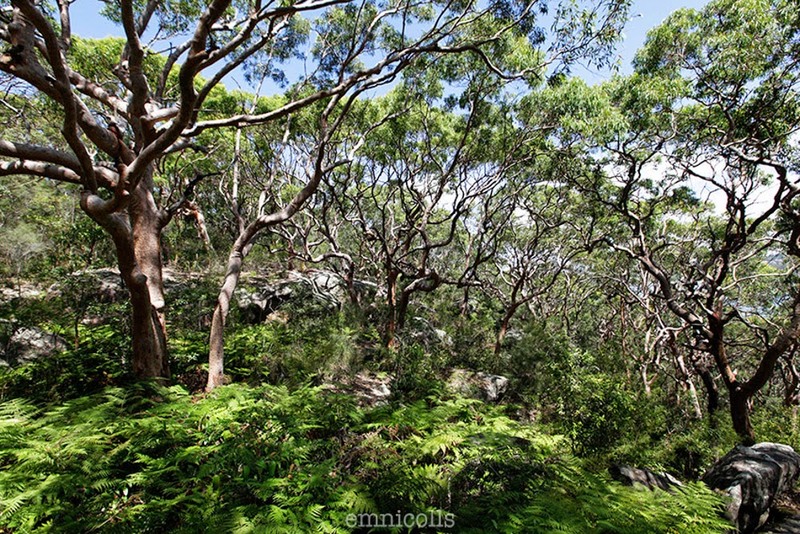 The photo above is from my favourite part of the walk which: Sydney Harbour National Park, Dobroyd Head. Fishers Bay - a small, quiet and peaceful inlet. Personally, I think the walking tracks around Fishers Bay and Sandy Bay are nicer than the beaches themselves. Sandy Bay - a dog's playground! Wide area of sand and shallow water, great to throw a ball around with your dog. There will probably be other dog owners there too. Clontarf - One of my favourites along this walk. 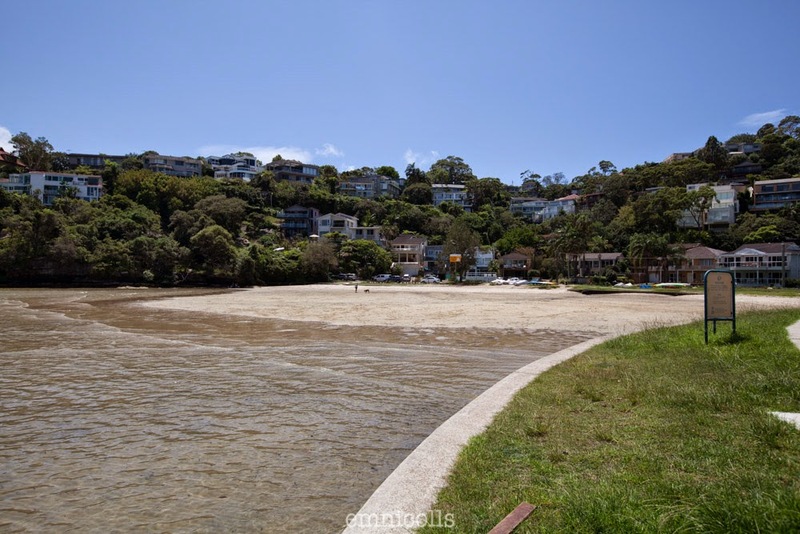 A convex beach with a netted off area, BBQs, playground, cafe, carpark and toilets. This is a great beach to go to if you have your own kayak or paddle board. The water is flat and it's a beautiful part of the harbour to paddle around. Drive past the carpark and you can get your car close to the water to offload boards. To continue on with the walk you need to walk on the sand towards Clontarf Point. Unknown 1 - a gorgeous little hidden beach that I can't seem to find a name for on any map, so it'll be 'unknown 1' for now. There's a rock you have to jump down from to get there and it can be a little trick if it's wet and slippery but once you're there there's a chance you'll have the place to yourself. It's so beautiful. Definitely one of my favourites. Unknown 2 - another little hidden spot. More rock and less sand than 'unknown 1'. Castle Rock - I like this one for the journey to get down there. 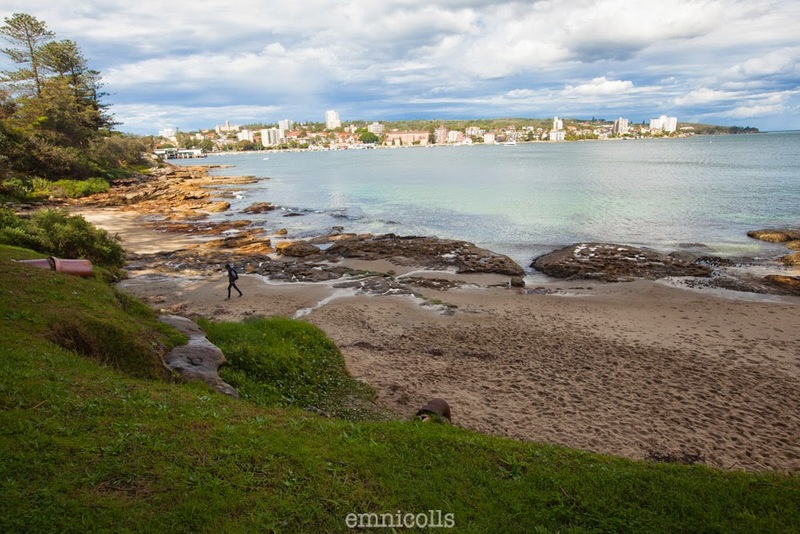 From the walking track there's a steep set of stairs where you have a stunning view of the beach and the harbour. There's a giant rock plonked on the sand at this beach. Washaway Beach - apparently this beach is sometimes actually 'washed away'...? I'm yet to see that. 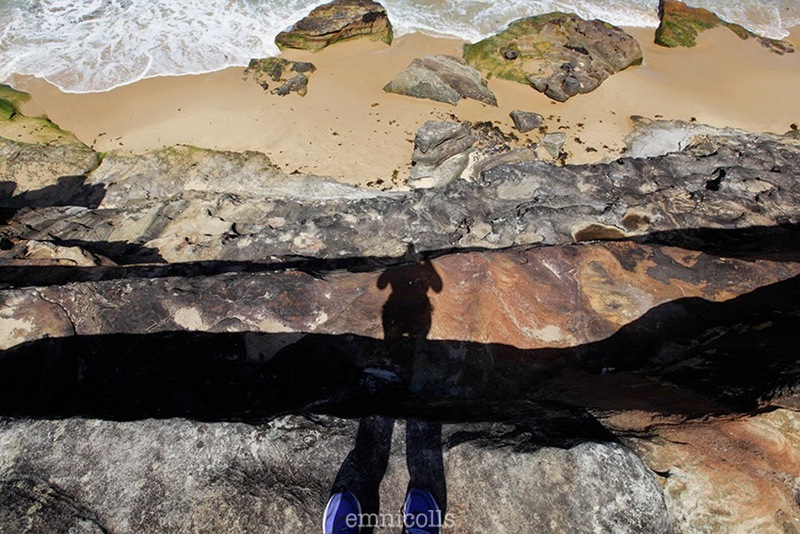 This photo is of my shadow from 3 levels of cliff up from the sand. Reef Beach - This one is lovely! 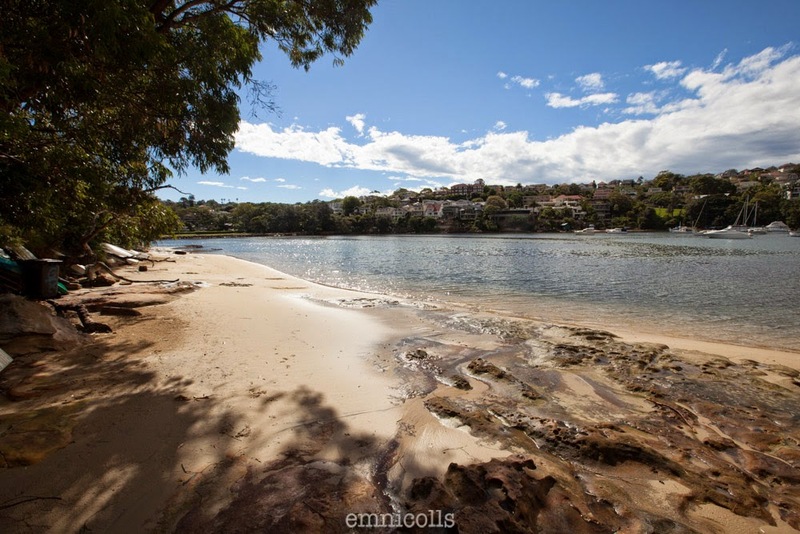 It has a view across to Manly and lots of surrounding rocks on to climb and go exploring. I prefer walking on the rocks to get around to Forty Baskets than the walking track. Unknown 3 - Close to Forty Baskets Beach, not a lot of sand, quite a lot of rocks, also fun to explore. 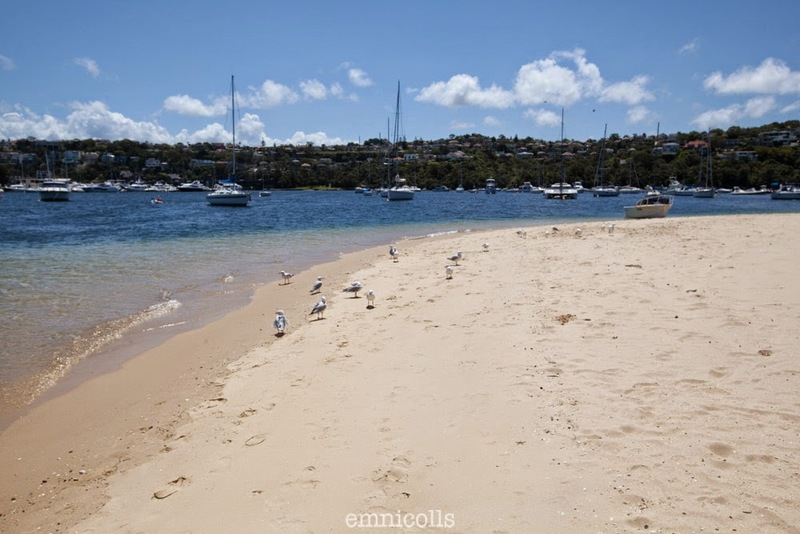 Forty Baskets Beach - named after 'a catch of forty baskets of fish sent to a contingent of Sudanese troops at the North Head Quarantine Station in 1885'. Has a netted off area. 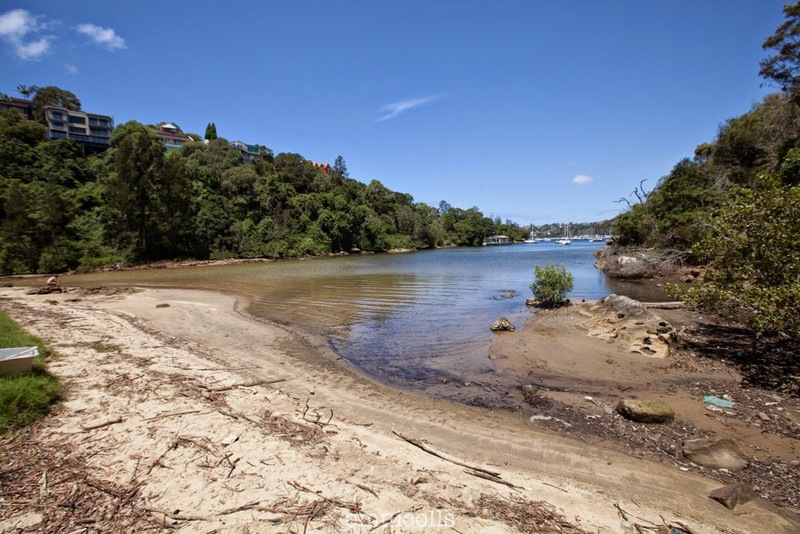 Wellings Reserve - a thin strip of sand by Jillings Cove with a beautiful water feature at the end of it. 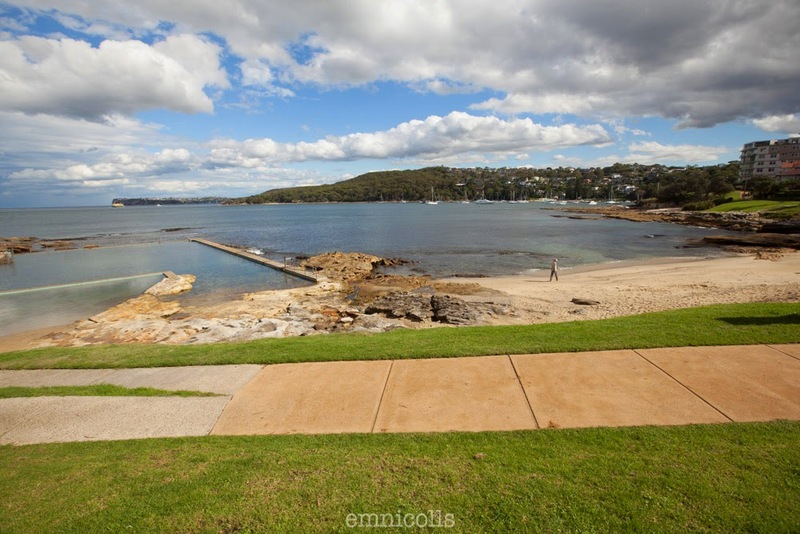 Fairlight Beach - half beach, half tidal pool, with views across Port Jackson. Delwood Beach - like Fairlight, just without the pool. Manly Cove - Where the ferries come in at Manly Wharf. Manly Sea Life Sanctuary is also here, with waterslides! Cross over the road once you get to the traffic lights to walk down the Corso and head to Manly beach to continue the walk. 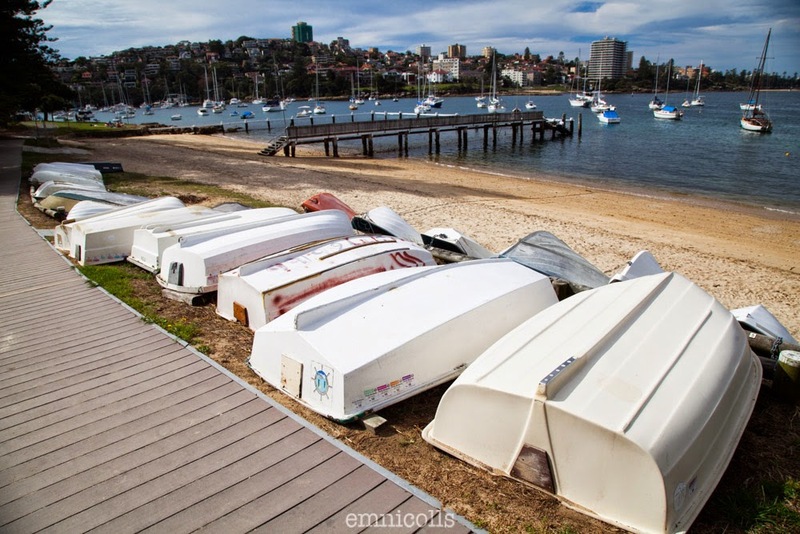 Manly - Definitely one of my favourites in Sydney. It has everything really: surf lessons, volleyball nets, playgrounds, toilets, parking, plenty of cafes, shops, restaurants and bars. 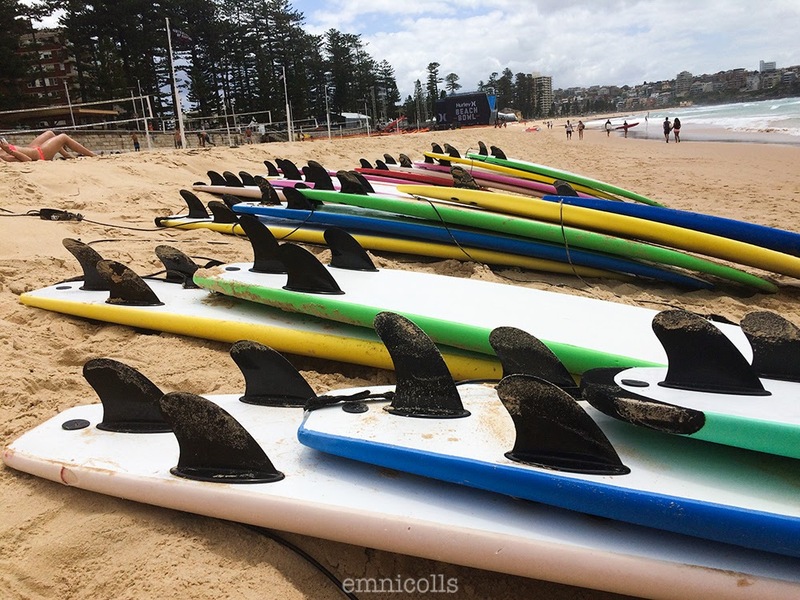 Manly Surf School is where I've done my surf lessons. I would highly recommend them, the instructors are awesome. 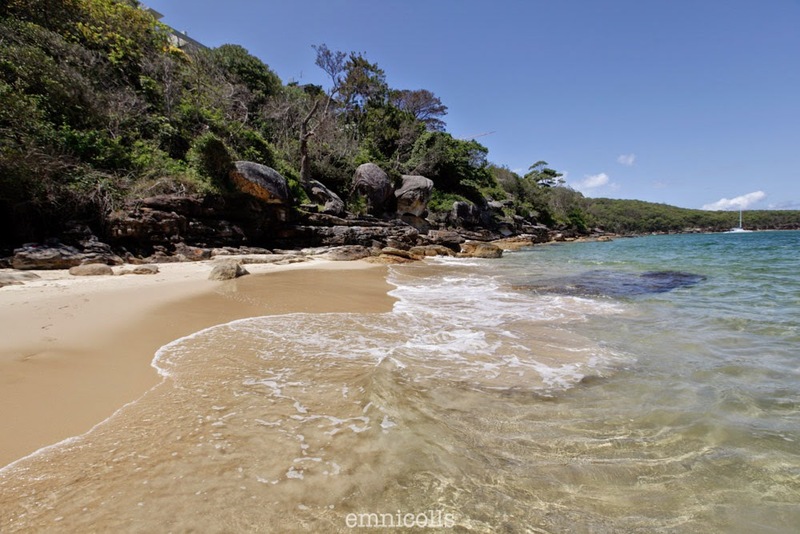 Shelly Beach - South of Manly. Cabbage Tree Bay is a great place to go snorkelling. There is a waterfall in Jilling Cove! 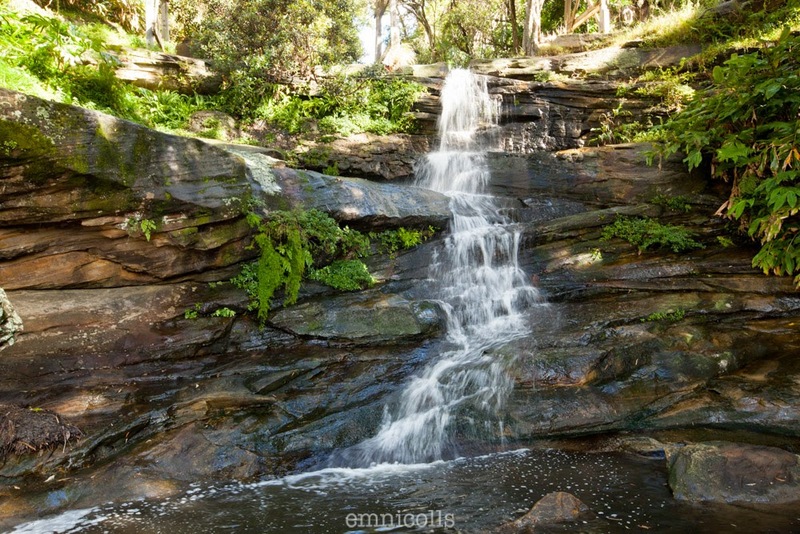 The very lucky residents of North Harbour St, Balgowlah have this amazing natural feature in their backyards. To find this waterfall see the green star in the embedded map above. 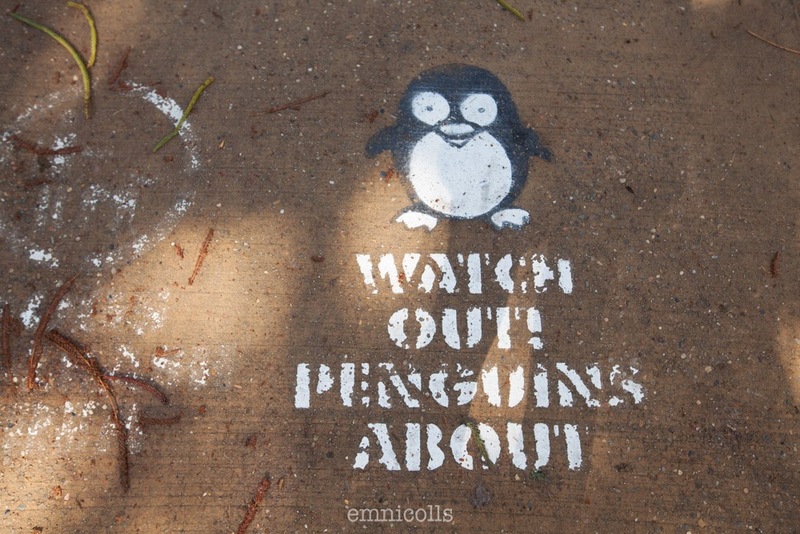 Fact: there are Little Penguins in the Manly area. Breeding season is from July 1 to February 28. You can get fined for anchoring, fishing and having pets with you in the Little Penguin habitats around Manly.